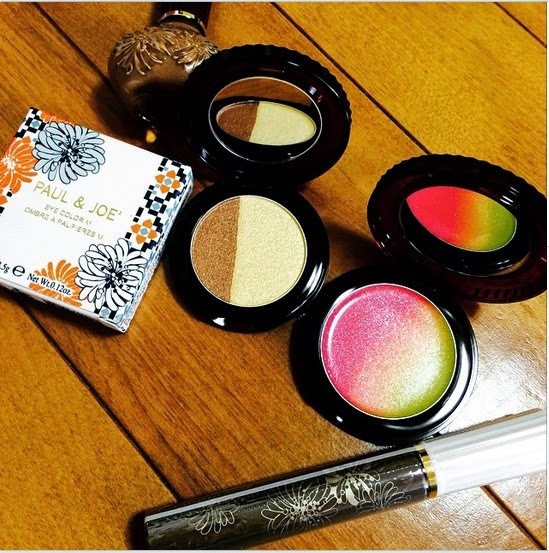 I wasn't too swayed by the oddly retro colours of Paul & Joe's Menagerie collection for Spring 2015 but look at this stunning Gradation Lipgloss #2 (2500yen) that they have in store for Summer 2015! Due out on 1 May in Japan, the collection theme appears to be Midnight Sangria and it will include eye colors (2800yen) as well as nail polishes (1600yen). Pic tweeted by Nao.